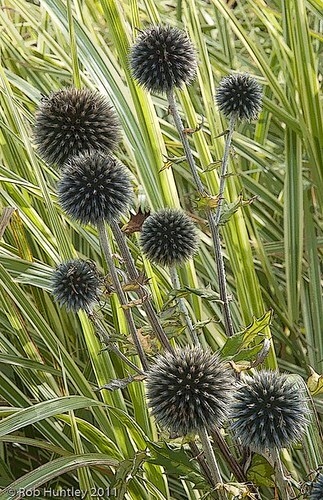 Popping Thistles, Waterperry Gardens, UK. Like the previous post, this is an image that was taken at Waterperry Gardens in the UK last year. Again, I decided to apply a few photoshop filters to give it a unique look. A print was on display at the West End Studio Tour last year. 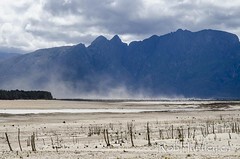 Now Getty has taken it into their catalogue. 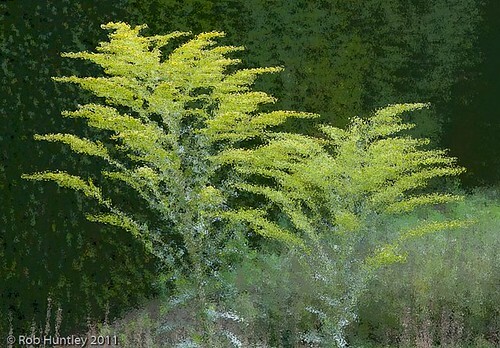 Goldenrod Beside a Hedge. This is an image that was taken at Waterperry Gardens in the UK last year. I decided to apply a few photoshop filters to give it a more painted look. I liked it so much that I did a print for display at the West End Studio Tour last year. Now Getty has taken it into their catalogue. 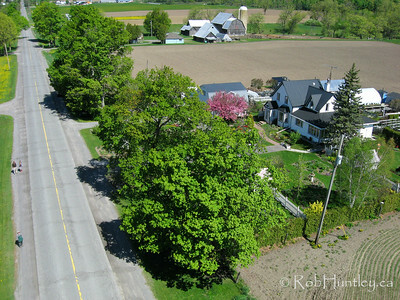 KAP 2008-26: Reilly’s Country Gardens, Kinburn, Ontario, Canada – May 15, 2008. Friends Phil and Carole Reilly own this jam-packed one acre nursery which is located on Diamondview Road between Carp and Kinburn, Ontario. 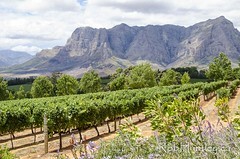 They combine a sales area comprised largely of perennial plants and shrubs with lovely gardens containing many large versions of the plants you can buy in a pot. They provide specialty stock (and service) in ornamental grasses, hostas, peonies and pond plants. 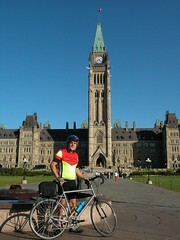 The website of Reilly’s Country Gardens can be found at rcgardens.ca. These photographs were taken using kite aerial photography (KAP). 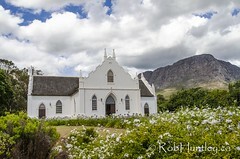 If you are interested, the property (home and nursery business) is For Sale. See rcgardens.ca/Sale/sale.html for more information. 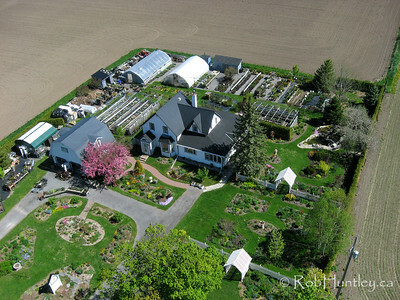 Aerial view of Reilly’s Country Gardens. Diamondview Road looking north near Kinburn, Ontario and Reilly’s Country Gardens. 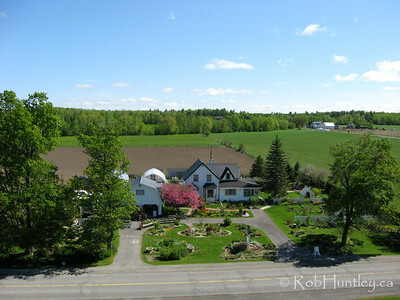 Another view from the air of Reilly’s Country Gardens. 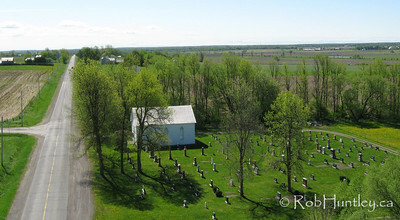 Diamondview Road looking south from Reilly’s Country Gardens with rural church and cemetery. Abstract road and fences. Self portrait in the laneway of the Reilly’s neighbour across the street. 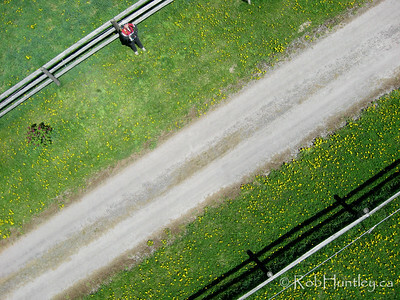 You can see additional pictures from my KAP 2008-26 outing in the Kite Aerial Photography Gallery on my website.